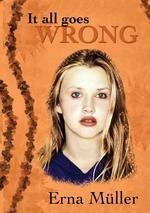 Twelve-year-old Amy is devastated when her parents move from Cape Town to Windhoek. She misses her old life and finds Namibia so boring. But everything in Amyís life is changing and things that she took for granted are being swept away from her. As she struggles to make friends and fit in, her loneliness is intensified by difficulties at home. When Amy hears about girls disappearing, she takes no notice until someone she knows goes missing ...Will Amy be next?